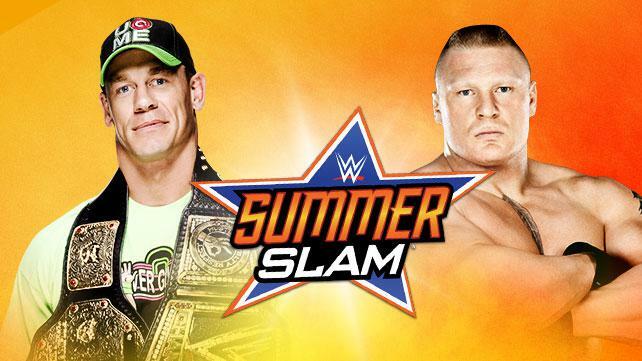 In this episode of Turnbuckle Radio hosts Trevor Robb and Brian Swane go over their predictions for the upcoming SummerSlam PPV on Sunday, August 17. There are a lot of question marks heading into Sunday’s event, the most important being who will walk out of Los Angeles as WWE World Heavyweight Champion? John Cena? Brock Lesnar? Tags: 780 Sports, Bray Wyatt, Brock Lesnar, Chris Jericho, Daniel Bryan, Dolph Ziggler, Edmonton, John Cena, Paul Heyman, Professional wrestling, randy orton, Triple H, Turnbuckle Radio, wrestling, WWE, WWE Raw. Bookmark the permalink.